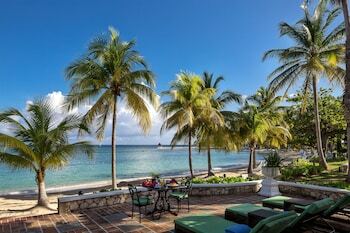 You may still be able to book by calling the hotel at 876-953-2211. Named for its crescent shaped beach, Half Moon Resort gives you half of nothing; you get the whole deal here, and the real deal. Situated on 400 tropical, fully landscaped acres, you'll find a natural dolphin lagoon, and a Robert Trent Jones, Sr. 72-par championship golf course -- and that's just the beginning. There's water everywhere: in 51 pools, including an Olympic-sized lap pool and a swim-up pool bar, plus the ocean, two miles of private, pristine beach, and an array of water sports activities. 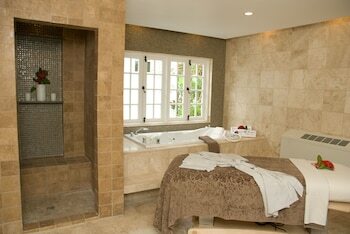 Other activities include tennis, horseback riding, cooking and gardening classes, and spa classes. 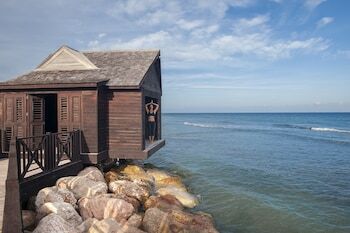 Eleven of the resort's original white-washed cottages remain, which have been updated and are nothing short of gorgeous. The other rooms and suites are equally charming. 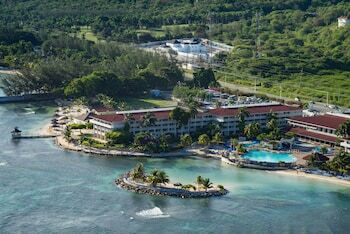 Half Moon is a 5-star hotel located at Rosehall Main Road, Montego Bay, JM . Its nightly price usually falls between $239.4 per night and $4800 per night, excluding tax, depending on room category. $239 per night found for a Resort Room room type. 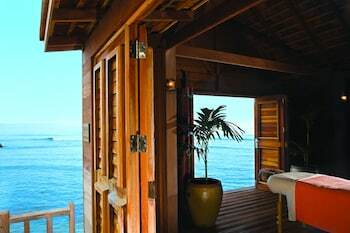 Half Moon sells rooms through sites like Room 77, Expedia, Hotels.com, GetARoom, and many others. Room 77 searches across dozens of different sites to find the lowest discount rates available. The lowest rate we've seen over the last few weeks was found on Room 77. In 1% of the cases we surveyed, all sites offered the same rate. You can compare real-time rates from all of these sites on Room 77. Room 77 is the only hotel shopping site that includes special discounts like AAA, senior, government, military, and corporate rates.